Yes, this is a fun and yes, slightly cheesy rip off of the series 'The Only Way Is Essex' (or 'The Only Way Is Vegas' for our US viewers). The two programmes are semi-reality series with actual people (well, if you scrape off the makeup and hairspray...) in real-life situations and to be honest, aren't for viewing. So, hopefully this session doesn't encourage anyone to actually watch the series as it's pretty superficial and trashy to be honest. But in the spirit of 'you can't beat a bit of copying to get a good session' we've done a session anyway!! The reality TV series include a list of characters, so we've decided to have some characters too. In our case, it's Jesus and three of his disciples! We've even done a 20 second video promo for you, unlisted on Youtube (so this is exclusive to myfishbites). It's a copy of 'The Only Way Is Essex' titles but to fit this session! Peter - his personality is doing things without thinking (eg water walking, cutting off people's ears), someone who jumps in with two feet and who is up for doing new things. Someone who changed from disowning God to someone who lived with heart abandoned for God doing miracles and pioneering work, despite his weaknesses. Philip - he's the kind of guy who is committed to following but who has trouble connecting the reality of what Jesus said with really understanding Jesus. Once the Holy Spirit came, Philip became a mad evangelist who did amazing miracles, was a fast runner and was the original 'Transporter'.. (See Acts 8). Thomas - someone just like us who had doubts but God didn't let that stop Thomas from being a disciple and believing in Jesus. He was also a fired up character who was even ready to die for Jesus! 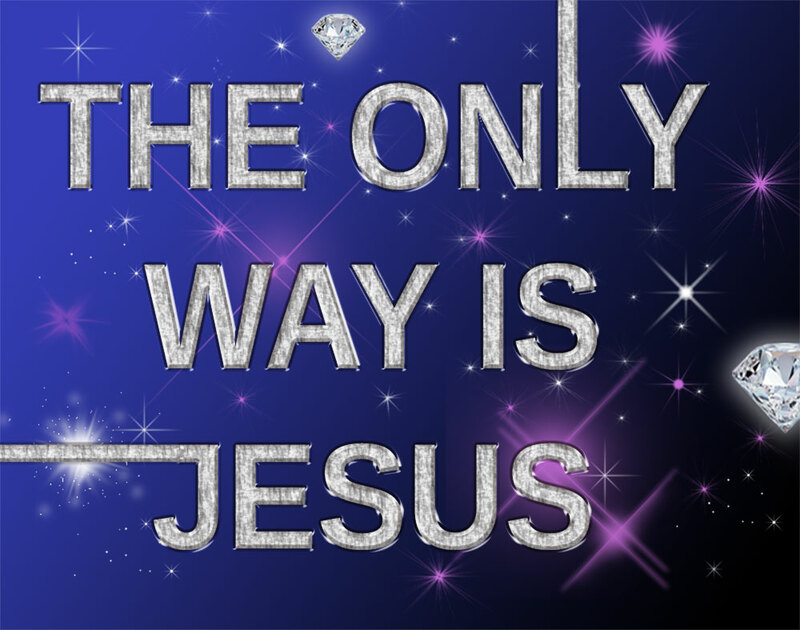 Jesus (The Only Way) - Jesus is God and the only way to God. He is the true Messiah, the Promised One and the only one who saves. He is the King of Kings, the Lord of lords and yet he understands us completely and loves those who follow him - he even calls us friends and whose sacrifice means we can be adopted into God's own family. He is kind, pure, good, loving but also a burning fire, one who burns with holiness. Jesus replied, ‘Blessed are you, Simon son of Jonah, for this was not revealed to you by flesh and blood, but by my Father in heaven. And I tell you that you are Peter, and on this rock I will build my church, and the gates of Hades will not overcome it. I will give you the keys of the kingdom of heaven; whatever you bind on earth will be bound in heaven, and whatever you loose on earth will be loosed in heaven.’ Then he ordered his disciples not to tell anyone that he was the Messiah. Jesus answered: ‘Don’t you know me, Philip, even after I have been among you such a long time? Anyone who has seen me has seen the Father. How can you say, “Show us the Father”? Don’t you believe that I am in the Father, and that the Father is in me? The words I say to you I do not speak on my own authority. Rather, it is the Father, living in me, who is doing his work. Believe me when I say that I am in the Father and the Father is in me; or at least believe on the evidence of the works themselves. Very truly I tell you, whoever believes in me will do the works I have been doing, and they will do even greater things than these, because I am going to the Father. And I will do whatever you ask in my name, so that the Father may be glorified in the Son. You may ask me for anything in my name, and I will do it. In Matthew 13, Jesus asked his disciples who people said he was. So who do people say you are? A good friend? A Bible basher? Someone they can trust? Someone who likes sport? What can you do to change any wrong attitudes you have that affect how people think of you? Jesus asked the disciples who they said he was. You see, all kinds of people say all kinds of things about Jesus (most of it's usually totally wrong). But Jesus is looking at you with love in his eyes and a fire burning in his eyes... He's asking you who you say he is? Peter said to Jesus, 'You are the Messiah, the Son of the Living God'. Can you say that same thing? Who is Jesus to you? Is he good, mad, bad? Or have you said yes to following Jesus in your life, even if you're not quite sure what that means?! Only those people who believe in Jesus will be part of the church that will overcome and have the power of God in their life. Only those who trust in God will do amazing things for God. Many people say they are lots of roads to God (it's crazy, it'd be like saying everyone wins a race even though only one person can!) Every religion has a totally different 'god', or has no 'god' at all, different beliefs, or has a completely different way of being made right with their 'god'. Every major religion says you have to do something, work to get / deserve their god's favour (and you have to keep on working). "Jesus I want and need you in my life. Sorry for what I've done wrong. Help me do what's right. Fill me up with your love and your Holy Spirit." (Say this is you feel on the inside of you that you should. Don't worry if you don't fully understand it all, God will help you). Jesus said that he was the only way - he was the way. If you want to know where you're going, you need to know the way. If you want to know about God, life and eternal life, Jesus is clear that he himself is the way. So today make sure you know who Jesus is. Make sure you know how much Jesus loves you. And show your love for Jesus by showing love to others; by doing what God says and talking about Jesus sensitively in the opportunities that come your way. Jesus really is The Only Way.